Although the Cleveland Cavaliers’ season is just about over, guard Matthew Dellavedova may take an early exit. Tonight is Matthew Dellavedova’s 10th straight absence due to a concussion. He was so sick he cane had to come home from a road trip earlier this month, and there’s a chance he’s done for the season, Cavs coach Larry Drew said. Dellavedova, 28, will miss his 10th straight game on Tuesday after being placed in the NBA’s concussion protocol. 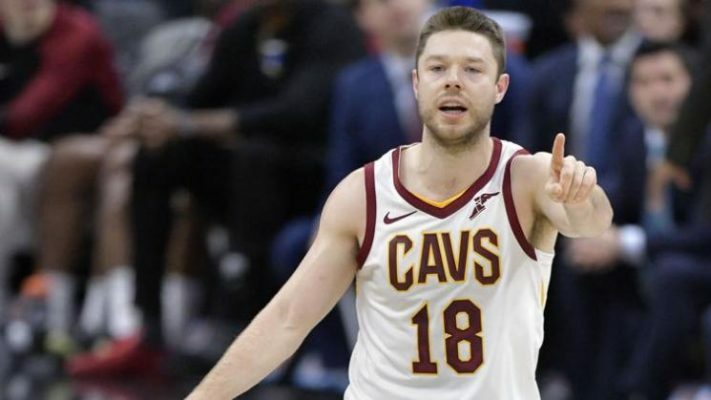 Although Dellavedova’s presence on the court isn’t exactly game-changing, the veteran plays a vital part in the team’s locker room. The Cleveland folk hero was reacquired by the Cavaliers in December as part of the George Hill deal with the Milwaukee Bucks. Since his return, Dellavedova has been putting up 7.3 points and 4.2 assists in 19.9 minutes of action per game this season. The Cavs take on the Boston Celtics on Tuesday night in Cleveland.